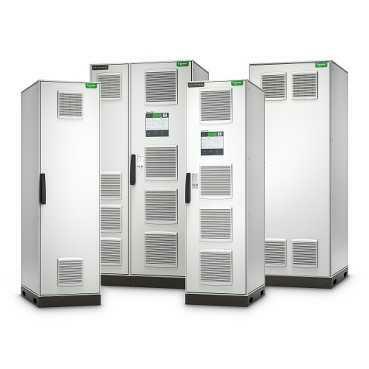 Three-phase UPS equipment has an approximate design life of 10-12 years. The installation environment, maintenance, and services that are performed on your equipment have a direct impact on total cost of ownership and the length of reliable service your UPS equipment can provide. Following best practices for UPS maintenance and service will maximize the useful life of your UPS equipment. Standard factory warranties for 3-Phase UPS equipment varies by manufacturer, most are one year but others may only be 90 days. Unless an extended warranty was included with the original equipment sale, you will not have any factory coverage after the expiration of your standard warranty. Know when your warranty expires and plan to initiate factory service coverage at the end of the warranty period. When operating within the manufacturer’s recommended temperature range, UPS batteries typically last 3-5 years, but one bad battery can corrupt the whole string, leaving you at risk of down time. Generally, the testing conducted during the annual preventive maintenance visit will give plenty of advanced notice that the batteries are beginning to decline and allow ample time to budget and plan for a battery replacement. 3Phase UPS equipment that has aged past 5 years may need replacement parts such as capacitors and fans or power modules. Fans and smaller parts may have been replaced during annual preventive maintenance visits, but capacitors are only replaced under a service contract if they fail. Now that the UPS is past the 5-year mark, it is time to consider a pro-active capacitor replacement. As you get closer to years 8 and 9, it will be time to replace the batteries again. Most manufacturers assign a 10-12-year useful life to 3Phase UPS systems. As your UPS approaches 10 years in service, it’s time to start planning and budgeting for a replacement. Most manufacturers have upgrade or trade-in programs that can reduce the replacement cost and assist with the safe removal and recycling of your old equipment. Alternatively, some manufacturers offer refresh programs for modular UPS equipment (see our MPRS program) that can potentially extend the life of the UPS by five years or more. By using your existing chassis and only replacing power modules, intelligence modules, and critical parts, your power protection can be updated and maintained at a significant savings. For more detail regarding managing the lifecycle of your 3-Phase UPS Equipment, download our whitepaper, “3-Phase UPS Service Best Practices”. When planning for UPS replacement, evaluate how the demand on your IT environment has changed since your UPS was installed. Has the IT load increased? Do you have more virtual servers? Is critical data on the cloud now? The network equipment that connects you to the cloud may have a higher level of criticality than it did when the UPS was installed. If you are not ready to replace your UPS, it is now more important than ever to have annual preventive maintenance visits, semi-annual battery preventive maintenance visits, and keep your on-site services contract current so you can be assured the support you need from the factory is available in the event of a problem or failure. Be sure to keep track of when the manufacturer plans to consider your model UPS End of Life (see our list of EOL products). Once a UPS is EOL, the availability of spare parts and trained technicians is limited. If it’s time to start planning for the replacement or refresh of your existing UPS equipment, it is recommended that you work with a knowledgeable, vendor-neutral UPS reseller such as Power Solutions to review your current requirement, the equipment you have installed now, and your options for refresh, trade-in, or replacement.